Who will protect the citizens of Gotham? The Joker is on the loose again, and causing all sorts of trouble. Where is the caped crusader? You must step up and fill in Batman's cape! Are you up to the huge task ahead? If so you came to the right place. 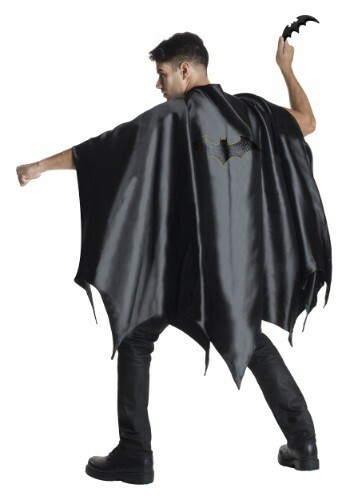 Good thing you have an officially licensed Adult Deluxe Batman Cape to run off and fight crime in. Or, should we say party the night away in. No matter what you are doing grab your Batarang and get ready to be the Bat himself. Deck out your sweet ride to be more like the Batmobile and go enjoy the evening. Maybe you're going to the party as Bruce then shock everyone by popping on your Batman cape exposing who you really are!